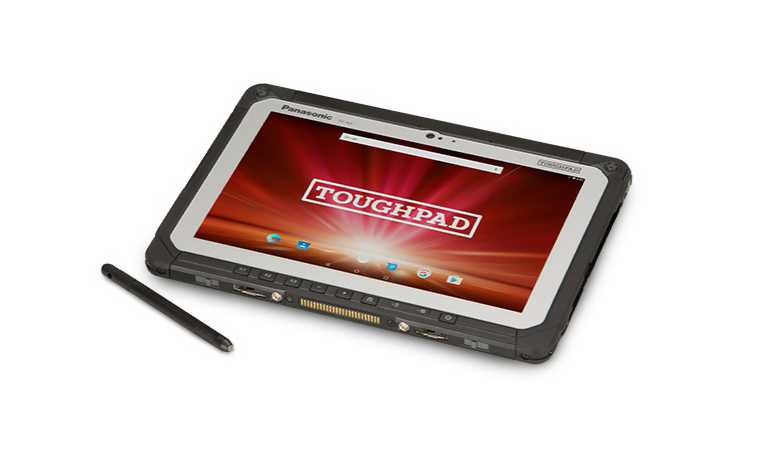 Panasonic Toughpad FZ-A2 android tablet is now available for costs $2,189. The latest Panasonic FZ-A2 tablet comes with MIL-STD-810G certification and IP65 rating for protection from dust and water. The Toughpad FZ-A2 android tablet features a 10.1” WUXGA IPS display that can be used with gloves and works perfectly fine under direct sunlight with 800 cd/sq.m brightness. The device is powered by Intel Atom Z8550 processor with 3GB RAM. Also, the battery backup is around 9 hours and you can replace batteries also. For protection, all the ports are hidden under a side panel. Toughpad FZ-A2 android tablet also includes a barcode reader and a smartcard reader. The new Panasonic Toughpad FZ-A2 will cost you $2,189.